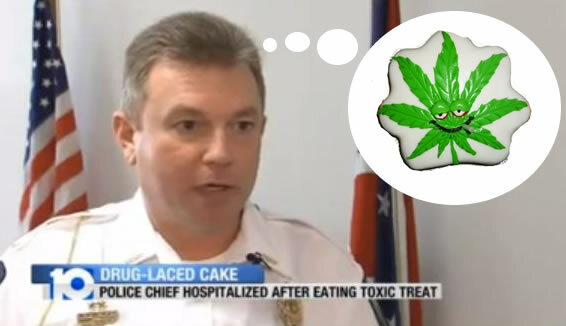 The local Police chief from Laurelville, Ohio, Mike Berkemeier was taken to hospital after accidentally eating a cake laced with cannabis ! Oh really? Accidently? According to the investigation the cake was actually intended for his younger daughter. So why did he steal his daughter’s cake? As soon as he noticed there was something odd going on Mr Berkemeier drove to the police station for help and was met by paramedics. He was then admitted to the Berger Hospital in Circleville where doctors performed tests to discover the problem. 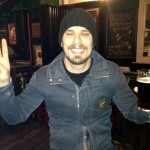 He only found out the cause when his fiancée, Vanessa Vara, asked her younger daughter about the cake. The cake had been left by a friend in sympathy for his eldest daughter who was in hospital after a major road accident. Doctors promptly gave him a sedative and he slept off the impacts of the high.